A stand alone cast impression of a hand or foot. 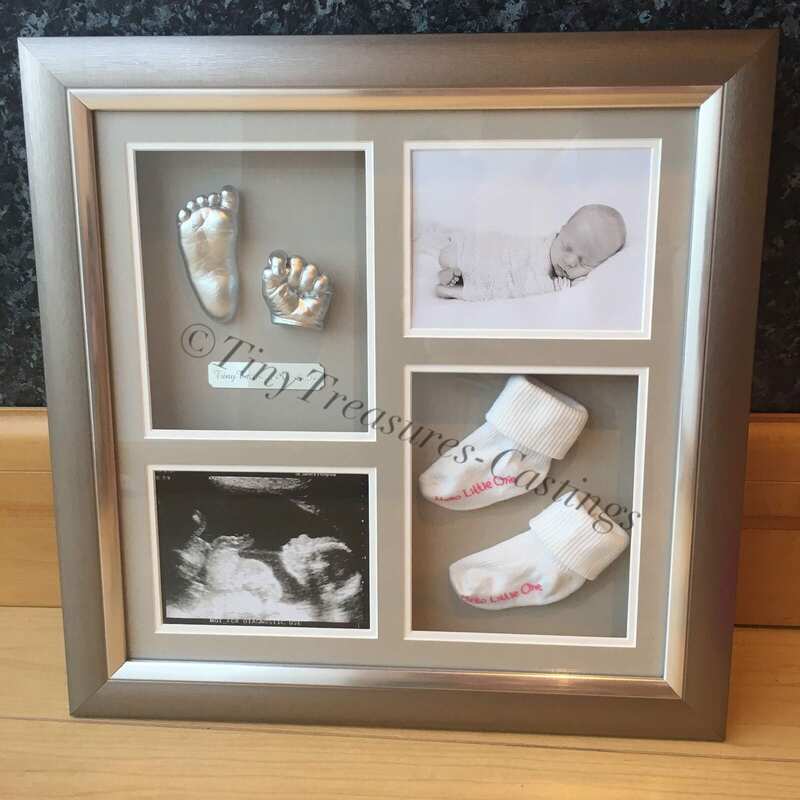 Impressive Imprints can be framed at an additonal cost. 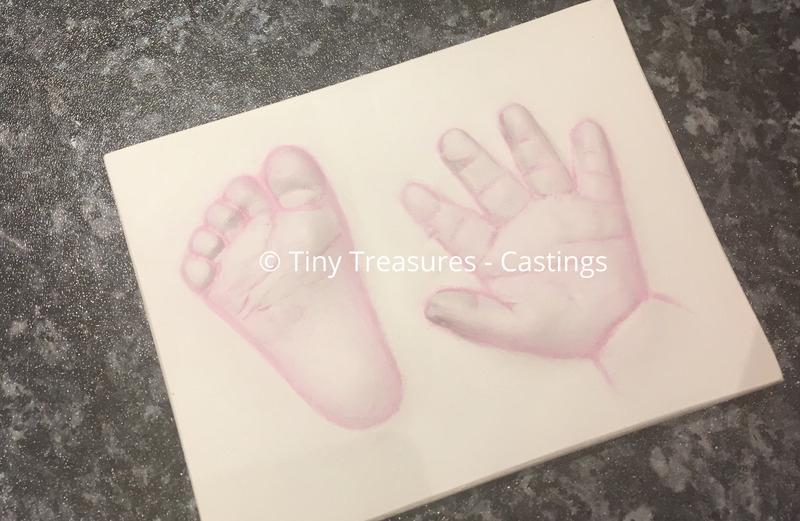 Impressions can be taken from the hands or feet of any aged person and are created using the casting process. 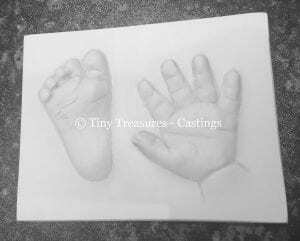 Impressive Imprints can be framed, price on application, as the frame size will vary dependent on the individual.